Songs of Eretz Poetry Review is pleased to present “Your Great Grandma” by Norma Wilson. A brief bio of Professor Wilson may be found here: http://eretzsongs.blogspot.com/2015/12/poem-of-day-mummies-above-guanajuato-by.html. for my sister and me. you wore for kindergarten graduation? You wore the yellow one too. with a heart-shaped patch on the skirt. she couldn’t leave her bed. you baked in the woodstove. were the best pies I ever ate. Poet’s Notes: A dozen years ago I was delighted when my Aunt Nancy gave me another dress Grandma had made while she still lived on the farm. It’s the shirtwaist style she always wore, and when I tried it on I found that it fit me. Someday I may write a poem about that one. Editor’s Note: What a beautiful story in verse this is, as well as a touching elegy. 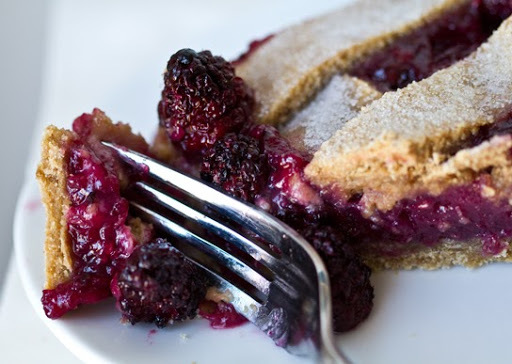 The metaphor of the blackberry pie, for me standing for love and pain, is breathtaking. “Your Great Grandma,” was first published as as “Grandma” in Black Hills Literary Journal: The Family Issue (Black Hills Writers Group, 2014).